Ahmad joined Generations For Peace in March, 2018 as the organisation’s filmmaker. In directing, producing, and overseeing all film and photography projects across GFP’s active programmes on an international scale, he tells GFP’s story through the eyes of participants and volunteers, events and activities. With eight years of experience, Ahmad brings a wealth of knowledge and expertise to the GFP Team, having created documentaries for Aljazeera, participated in a range of international film festivals, and produced award-winning short films. He has also played roles in multiple countries across the Middle East as a consultant, supervisor, university lecturer, and more. 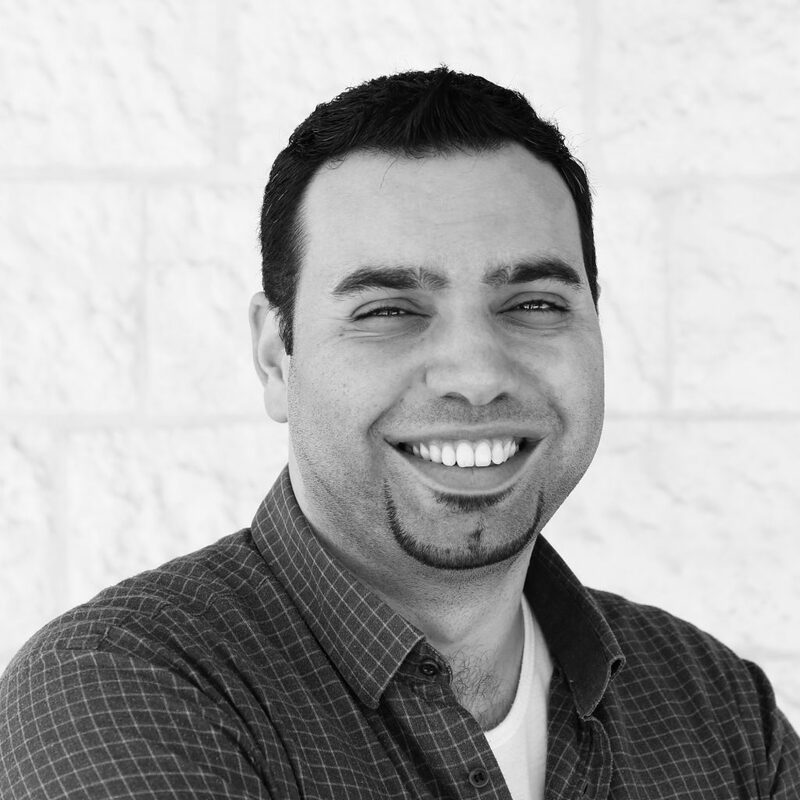 Originally from Palestine, Ahmad has a BA in Architectural Engineering and an MA in Visual Arts and Visual Communication Design, as well as a diploma in Digital Filmmaking. His creative documentaries “Little Red Miracles” and “The Neighbourhoods’ Old Men” were selected for several international documentary development workshops like GoEast Film Festival, StoryDOC, and RamallahDOC. In all that he does, Ahmad is characterised by his refusal to give up when facing a challenge. When not at work, you can find him scouting, hiking, or camping, unless he’s distracted with his passion for theatre or Maqlobeh.